Postpartum Depression (PPD) is a serious public health problem that leads to high maternal morbidity and mortality, enormously affecting the infant, family and society. 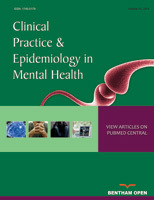 Thus, the aim of this study was to assess the prevalence and factors associated with postpartum depression among postpartum mothers attending public health centers in Addis Ababa, Ethiopia, 2016. Facility-based cross-sectional study was conducted from March 2016-April 2016 among 633 postpartum women. Four sub cities were identified through simple random sampling technique among 10 sub cities in Addis Ababa, Ethiopia. Furthermore, the study participants were determined by systematic random sampling after 10 health centers were selected by lottery method and the number of participants in each health center was proportionally allocated. In order to determine postpartum depression, participants were rated using the Edinburgh Postnatal Depression Scale (EPDS) and the findings were analyzed using bivariate and multivariate logistic regression. P-value less than 0.05 with 95% confidence interval was used to state the association. The study revealed prevalence of postpartum depression among mothers was 23.3%. Moreover, women who were unmarried, had unplanned pregnancy, delivered without presence of any relatives in health institutions, had previous history of child health, had history of substance use and had low income were found to more often display postpartum depression. For optimal maternal health care provision in regards to postpartum depression, integration of mental health service in addition to inter sectoral collaboration of women’s affair with health institutions is crucial. Keywords: Postpartum depression, Maternal mental health, Postpartum period, (EPDS), Addis ababa, Public health. © 2018 Cherie et al.